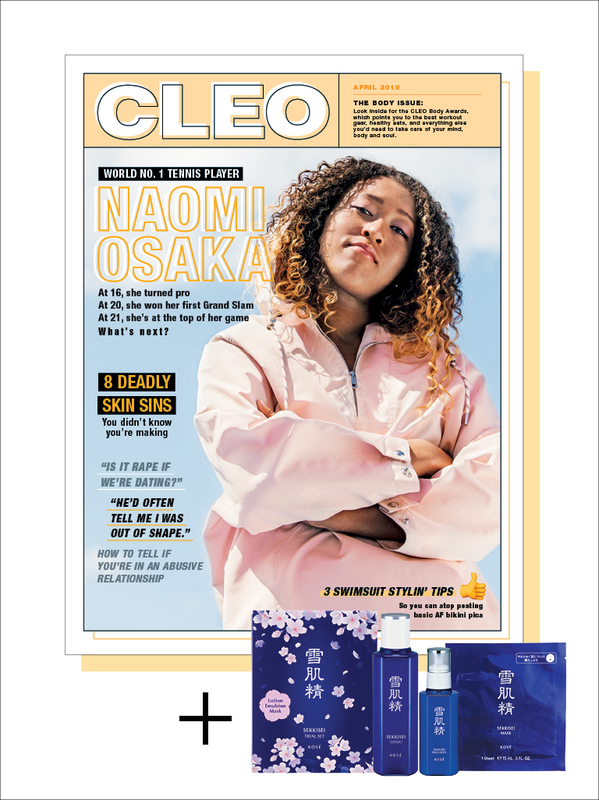 Subscribe to 10 print issues of CLEO @ $35 and receive a KOSÉ SEKKISEI skincare set worth over $150. Hurry! First 20 subscribers only. Trust CLEO, Singapore’s number one young women’s magazine, to be your go-to guide to help you achieve your goals in life! Whether you want to develop your own personal fashion style, learn how to wear makeup like a pro, rule the boardroom, get fit, be more financially savvy or navigate your way through complicated relationship problems, CLEO gives you solid and practical advice you can actually use! Remember, it’s your life, your rules. CLEO’s just here to arm you with all the know-how and tricks you need to get to where you want to be.